Last couple of months I was waiting for the new and better version of Jigoshop and it finally came out on August 14th and let me tell you it was worth the wait. The new version 1.3 is packed with new features and improvements. In that spirit I updated all my existing extensions and updated them to the new Jigoshop version. In addition to that all my plugins come now with a lifetime support and updates, so if you buy a plugin you will get all improvements and free support for as long as you use it. Three gateway plugins other than all updated plugins were released last month. CertoDirect is a payment gateway that offers its users the possibility to accept debit/credit cards plus more than 10 alternative payment methods such as PayPal, Alipay, Amazon Payments, WebMoney Transfer, Google Wallet and more. Integration is quick and easy and takes a couple of minutes. 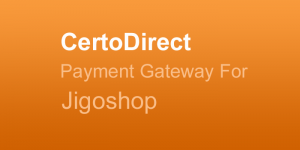 CertoDirect gateway extension uses the redirect and iframe payment flow. You have the choice to redirect you customer to the CertoDirect secure servers to make a payment or show the customer the payment page in an iframe directly from your website. After a payment completion the customer is presented with a “Thank You” page. 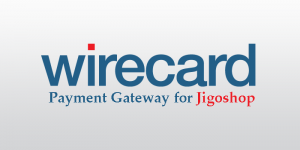 Note: SSL certificate is not required to use CertoDirect payment gateway. 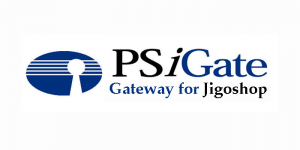 PsiGate payment gateway offers a direct payment experience. The customers will stay on your website at all times of the payment process. Note: SSL Certificate is strongly recommended to protect your customers information.